Fans, players and coaches can almost always find an excuse for a loss in a sporting event. A blown call by an official or injuries to key players are often the scapegoat for a loss. For the first time ever, a video game has now been tabbed as the culprit in an unexpected defeat. During his Monday press conference, University of Louisville head football coach Charlie Strong took time to lay the blame for his team’s uninspired effort in a loss on the players spending too much time during the week playing Call of Duty: Modern Warfare 3. 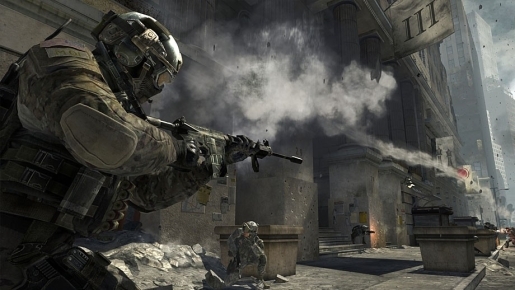 November 8 marked the first day the game was available for sale and 6.5 million copies of the first-person shooter were purchased in the first 24 hours in North America and Britain, breaking the record for units sold set by the previous Call of Duty edition. Strong said his players spent way too many hours shooting their way out of trouble from their couches than focusing on defeating the Pittsburgh Panthers. The visiting Panthers downed the Cardinals 21-14, keeping Louisville from claiming the top spot in the Big East standings. There’s no word if any of the Cardinal players won the Modern Warfare 3 tournaments hosted by WalMart last week or if they drove themselves to the game in their special edition Call of Duty Jeep.